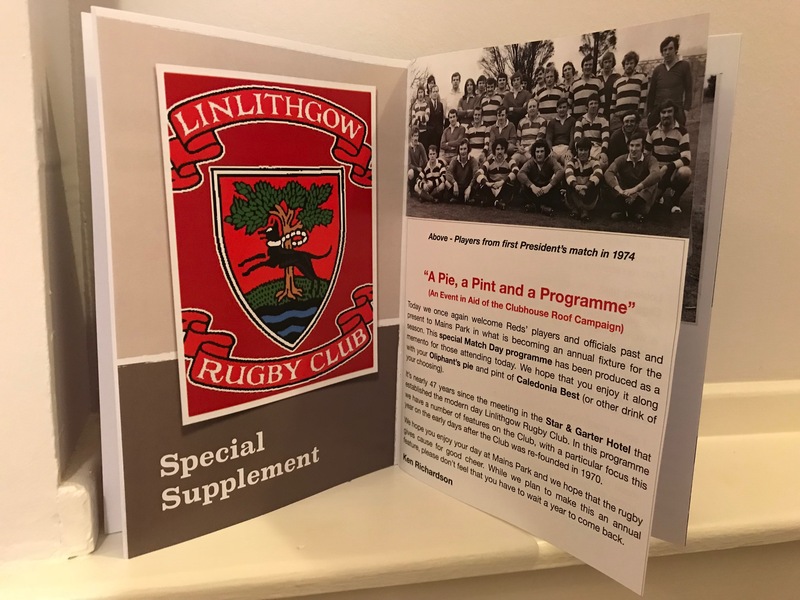 A special 40 page programme with articles from the early years of Linlithgow Rugby Club was produced for the Former players Day on 28 October. 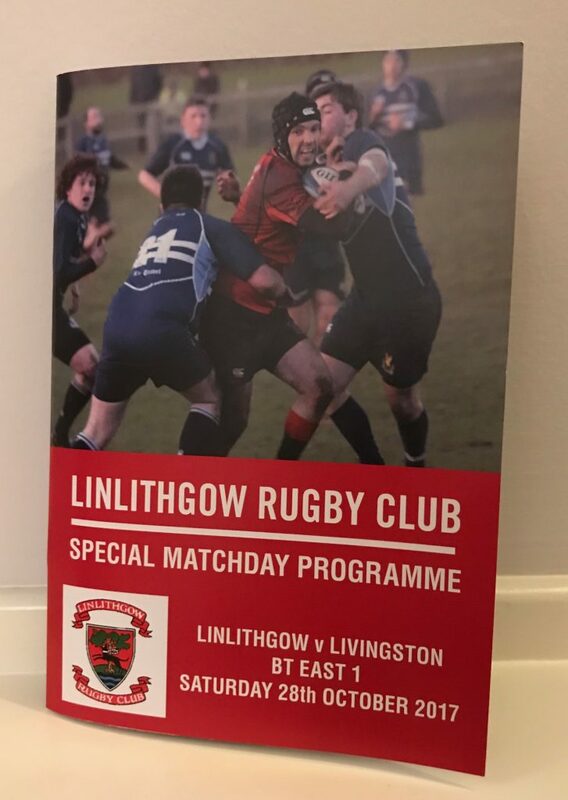 We have a number of copies left over and if anyone would like one, please contact Ken Richardson. There are feature articles from Bill Berridge, Bert Lawson and Gerry Keating, in addition to lots of high quality prints of old photos.